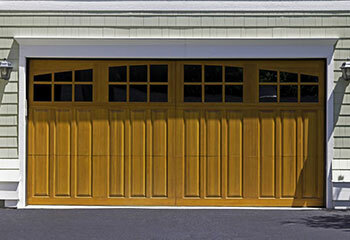 Do you need some help with your garage door? Of course you do. Otherwise, why would you be reading this right now? Well, not to worry. Our technicians can take care of anything from a broken spring to a bent track. Check out our latest projects below to see what we've been up to recently. Customer Issue: An old opener motor burned out, and the unit needed to be replaced. 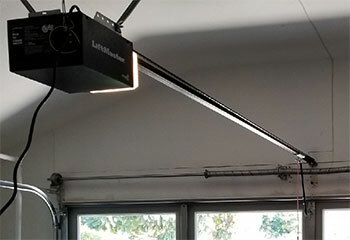 Our Solution: The customer wanted something simple and relatively silent, like her old model, so our team provided her with a wall mounted LiftMaster 8500 garage door opener and hooked it up to her torsion system. Installation was easy, and the tests went well. 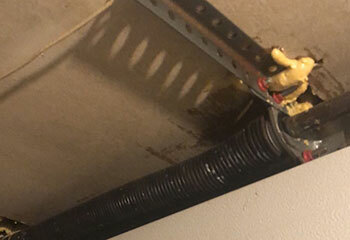 Customer Issue: Garage door making scraping sounds. Our Solution: Our test confirmed the cause of the noise - a worn cable. We removed it and discovered the drum's surface was quite rough. To solve the problem, we installed a new drum and a new cable with the same design and length as the old one. Customer Issue: Vert old garage door. Our Solution: We consulted our customer and helped her choose a Clopay garage door from the Modern series of the Canyon Ridge collection. Our installation work began with mounting the stationary hardware. Then we put the panels together, set up the new spring and connected the door to the opener. 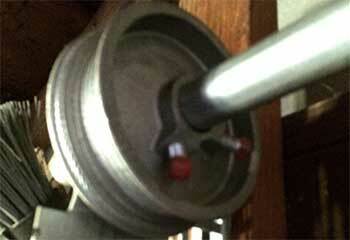 Our Solution: We removed the broken prices and places the new stronger spring over the shaft. Then we wound it so that it held enough force to match the garage door's weight. Our final step involved applying a thin layer of lubricant. When we tested the door, it opened and closed properly.